The Alternative 410 Motor can be built by just about anyone. 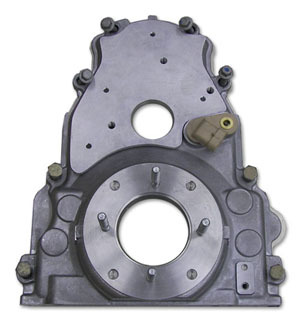 There is a core group of mandated parts and suggested parts that can be found on the Engine Basics page. Once production begins, this section of the site will include a listing of engine builders that have signed agreements to assemble these motors..
All builders of this engine shall abide by the honor system in terms of production. The engine must be sealed and stamped. The stamp will include the builders name and date of production. The seal will keep an owner from making modifications. Once a motor is built, the engine builder will request bonding plates and seals from the A4MP. Each engine builder will have a number code for identification and a plate number. All plate numbers will be listed on the website with date of completion, engine builder and owner information. The builder will sign a bond that states they will be liable to financial reprecussions if a motor built by them is found to be illegal. Any team, driver or track representative has the ability to have a particular motor checked. There is a $5000 protest fee. There will be expenses involved in checking the motor, such as the cost of crating and shipping the motor to an Indianapolis location and bringing in an independant consultant. The engine builder will be required to travel to the location and be present while an appointed inspector checks the engine. 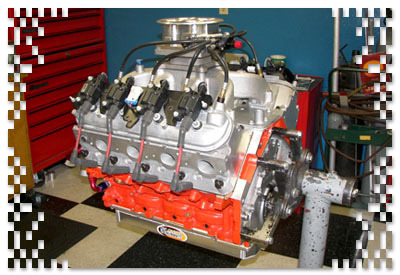  The motor will be rebuilt by the engine builder in the Indy location and returned to the car owner.  Expenses incurred through the motor check by the owner will be covered.  Any remaning monies will be invested into a specified A4MP department. Our goal ind making a profit from this aspect.  $10,000 will be paid to the A4MP organization through an insurance bond that each engine builder has agreed to. The money will be used to cover expenses occurred in checking the motor.  The motor will be confiscated by the A4MP. Questions? E-mail Ron Shaver with your questions in writing.